Strzok appeared before lawmakers to face questioning over the numerous anti-Trump text messages he exchanged with FBI lawyer Lisa Page. Strzok said he regretted the texts to Page, whom he was having an affair with, and that they were meant to be private, according to lawmakers. Strzok also said FBI agents regularly hold political opinions but that those beliefs don’t affect their decisions at work. But in one text message from August 2016, the agent told Page that “we’ll stop” Donald Trump from becoming president. Special Counsel Robert Mueller removed Strzok from the investigation of Russian election meddling when the messages were revealed. "Peter Strzok worked as the leader of the Rigged Witch Hunt for a long period of time - he got it started and was only fired because the gig was up. But remember, he took his orders from Comey and McCabe and they took their orders from you know who. Mueller/Comey best friends!" Trump later said. 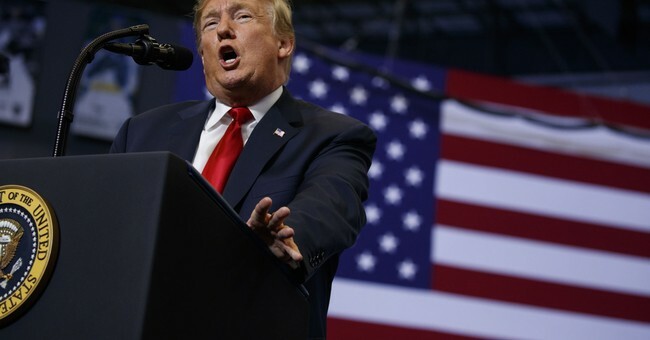 Trump also commented on whether Russia interfered in the 2016 presidential election Thursday morning, writing, "Russia continues to say they had nothing to do with Meddling in our Election! Where is the DNC Server, and why didn’t Shady James Comey and the now disgraced FBI agents take and closely examine it? Why isn’t Hillary/Russia being looked at? So many questions, so much corruption!"